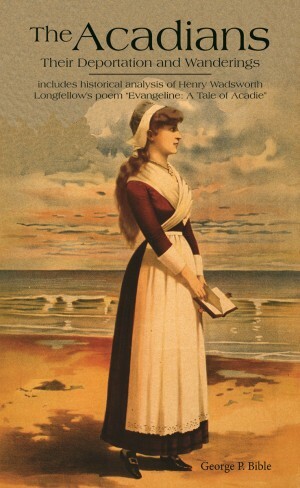 This interesting history was motivated by Longfellow’s beautiful poem Evangeline (published by Pelican), which is about an Acadian woman who was separated from her love during their difficult deportation from Nova Scotia. George P. Bible felt it necessary to provide the true background information about the Acadians that inspired Longfellow to write his tribute. The Acadians provides the reader “a brief sketch of the Acadian, his early struggles, his home life, cruel deportation, the confiscation of his property and destruction of his home, his treatment in exile and his wanderings in search of his kith and kin for twenty-five years following their separation” (from the preface). Reading about the actual struggles that this wandering people faced will render Longfellow’s poem even more poignant and shed light on the history of a group of people that is relatively unknown.